Every May 4 many people around the world take on pink shirts to show their support of Anti-Bullying Day. This event was started in 2012 and it's already known in 25 countries around the world. Anti-Bullying Day is a special day of stand against bullying. Bullying has become a widespread problem around the world: it's estimated, that one of four children will be bullied during their adolescence. Over 70% of students are bullied and they see no end of this problem. Moreover, bullying is one of the main reasons of suicide among students and children. Anti-Bullying Day originates from another event, started in Canada by David Shepherd and Travis Price in 2007. 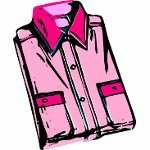 This event is known as International Day of Pink, because the founders brought 50 pink shirts to wear at school after student Charles McNeill had been bullied for wearing a pink shirt on the first day of school. As far as Anti-Bullying Day's symbol is a pink shirt, it's also called Pink Shirt Day. All Anti-Bullying Day activities are held at schools, work places or any acceptable location, where bullying might cause problems for people. The participants disseminate information about bullying and its negative consequences and the ways out of this problem.